I received an update from my publisher today. My historical fiction novel Darkness before Dawn has been given a tentative release date of June 2013. I will post an official date once it has been given to me. Two books out this year so far! I thought I would update my readers on my current situation. Life has been hectic lately and all my books have slipped from my priority list. After a good 2-3 week hiatus I have started writing my HF, Little Bird again. Its good to get back into it. I didn’t realise how much I missed it. Currently my thriller To Lean on Falling Men is still out on submissions and my urban fantasy, EarthWalker has had a few bites. I am so eager to get 2013 rolling, and make it my year for my writing career! Stay tuned for more info on my other books Darkness before Dawn and Skylark being released this year. Exiled from war torn France in 1945, Marcelle Louis and her lover denounced German captain Karsten Furst flee to America to start a new life with the help of the infamous Maquis, a rural guerrilla band of French Resistance. When they arrive in post war New York City, Marcelle and Karsten experience the very same scrutiny they faced back in France and reconsider their decision in leaving Europe. In a chance encounter, they meet charming, ex soldier Duke Holiday who promises to show them around the city and offers them protection from the leering and judgmental locals. When Karsten mysteriously disappears, Marcelle is thrown into a world of night clubs, prostitution and the illicit night life as she struggles to search for her German captain, all the while in the keen sights of Duke. As the years pass, Marcelle grows to accept her German lover has abandoned her and vows to move on. But when Karsten turns up as a beggar on the streets of New York, she rethinks the role Duke had played on her life. Should I get back on it? I put it aside because I wasn’t getting the drive for it as I usually do. But I think 2013 is the time to start Marcelle again. After a turbulent start trying to find a home for my novel Darkness before Dawn, it has found a lovely home with Soul Mate Publishing. I am keen in publishing with them because they seem like a good house for my book, and I trust they will give DBD the exposure it needs. No release date has been announced yet, but I am hoping it will be released this year. Skylark, a crime noir fiction will be released by Rogue Pheonix Press in August 2013. 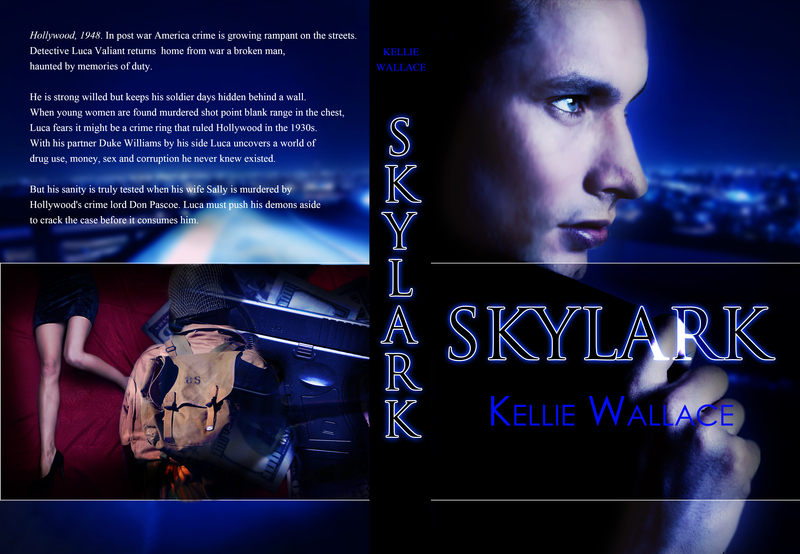 Skylark was written during October 2012. I have a deep respect and love for the 1940s and wanted to write something during that period after I finished writing my first historical fiction. I was inspired to write it after I saw the trailer for Gangster Squad (out now). The cover is made by the lovely Amygdala Design. For the synopsis, please head over to the Books tab.